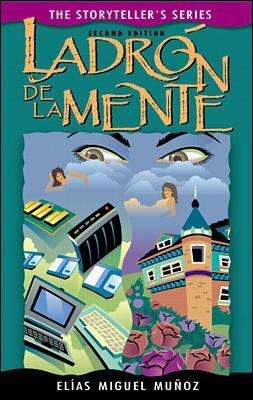 The second title in the Storyteller' s Series, "La dron de la mente" is a surreal and supernatural story for high-beginning and low-intermediate students, written in simple Spanish for learners of Spanish. Written by respected author Eli as Miguel Mun oz, this inviting and inexpensive paperback can be used as early as second semester, first-year Spanish. As the story unfolds, students soon learn what happens to a thief who steals something other than property. The essence of the story has not changed since the first edition, yet "Ladro n de la mente" now features material that is even more readable and thought provoking. Numerous subtle changes were made as well as some major ones.Munoz, Elias Miguel is the author of 'Ladrn De LA Mente ', published 1999 under ISBN 9780072326178 and ISBN 0072326174. Loading marketplace prices 10 copies from $1.34 How does the rental process work?